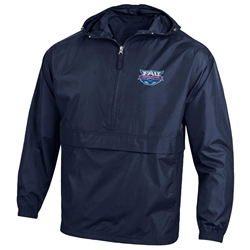 100% polyester micro poplin fabric with water resistant coating. Open bottom with shock cords. Scuba collar with hood. Can be packed into front pocket.